Whether you want to partner with us in our overall Operating Funds Campaign, give to someone else through our Benevolence Fund, or donate to our Restoration Ranch, SomeOne Believes in You (previously known as Somebody Cares Relief) is a tax-exempt 501(c)3 organization. SomeOne Believes in You welcomes partners in the work at hand, bringing relief to those who suffer. Each gift helps keep the program operations going throughout the year. SomeOne Believes in You provides an extensive array of one-on-one intensive services that support individuals in their journey towardstheir highest destiny, better healthand victory over emotional issues Sharing messages of love, hope and insight through music and live recordings, we provide relief for people from various challenges of life, Theresa Griffith has provided over 14 albums (CD/DVD) that address specific issues. As a funding partner, YOUR contributions to the Operating Funds of SomeOne Believes in You afford the opportunity for assistance and relief using life-changing experiences as evidenced by the glowing Client Testimonials featured on our site, as well as the abundant word-of-mouth referrals from across the globe. Many organizations measure their success by the breadth of clients served, but in the case of SomeOne Believes in You, there is an extraordinary depth, commitment and level of care taken to achieve such dramatic results. Many of the people served are leaders who have given of themselves to a point of severe burnout, even pain, and are in need emotional and physical restoration to get back on their feet. Ripple effects extend into the multitudes of lives touched by these leaders who are forever changed and recharged. 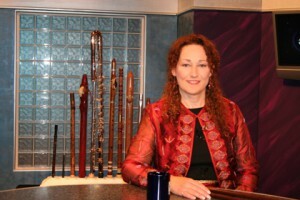 Further, through the teaching, mentoring, and ongoing curriculum development, the techniques and strategies developed by Theresa Griffith are multiplied and passed on so more people can experience relief. Your gift makes a global impact, not just in a few lives, but on many, and in great depth. Please join us in reaching out to those who suffer by making a monthly pledge today! SomeOne Believes in You welcomes partners in this ministry as we create a place of restoration and training. Each gift will help us reach our goal and make this dream a reality. Theresa Griffith has great vision for The Tall Poppy Ranch near Ojai, California. Seeking partners for every facet of development, acquisition, funding and operations, she has formed a team of experts to guide her each step of the way. If you are interested in sharing your talents and resources to celebrate and birth this dream into being, we want to hear from YOU! Reach out via our contact page and let us know! We welcome visionary people to join our awesome team for creating a hub of training and restoration for all. I have posted this information several times, but the nature of media today is that not everyone sees every email or Facebook post, so I'll do it again for those who are confused. "Raised 1ML" towards purchase of Scott Bakula property in 2015 Explanation: Not all of that was hard cash. We raised $9,000 which was wiped out by the Cease & Desist Order that took our Somebody Cares original name(through lack of Trade Marking!) The 1ML was in a POTENTIAL Donation Promise from the land owner in the form of a $500,000 deduction in the price and $500,000 donation in furniture contingent on us buying the property of course, so his pledges became obsolete after the rest of the funds didn't come in. That was not the property we were supposed to have, as you can see now.The Lavender Farm Explanation: No, we did not get it, but we DID get the entire liquidation of oils from that farm. Sorry for any confusion from the past, but we do need to move on and stop trying to update at some point. THE RANCH (20 acres of the best ORGANIC soil in the world, All for $800,000! The best way to give is by using PayPal GIFT TO A FRIEND and using our email address hope@SomeoneBelievesInYou.org. SomeOne Believes in You welcomes partners in the work at hand, bringing relief to those who suffer. Each gift helps keep grow the reach and impact of the Benevolence Funds distributed to individuals and/or families in need. As a funding partner, YOUR contributions to the Benevolence Funds of SomeOne Believes in You afford a resource pool with ripple effects extending into the multitudes of lives touched by persons who receive not only a financial gift, but an increase of hope. Your gift makes an impact on many levels for families and individuals. Please consider making a monthly pledge, making that difference, starting today!